It has been about a year since my last RESP portfolio update which is probably an appropriate time span since it’s a fairly steady portfolio that is 100% indexed. The RESP portfolios for our children are setup with TD e-Series mutual funds which provide a low cost way to index the market. We contribute $2,500/account/year to get the maximum contribution from the government of $500/account/year. So basically $5,000 contributed to the RESP accounts give us $6,000 annually to invest. We went with index mutual funds instead of index ETFs because of the freedom of adding small amounts at a time without having to pay a commission for every purchase. Since opening the accounts though, there have been some advancements in ETFs and discount stock brokerages (here is an updated comparison). If I were to setup an RESP account today, it would be a tough to choose between this and brokerages that offer no-commission ETFs. The original plan was be aggressive for the first 10 years (90% equities 10% bonds) for each child with increasing fixed income as the University tuition nears. I copied the table from my original RESP strategy article below. I have since adjusted the first 10 years to have close to 75% equities and 25% bonds. I like to keep things simple, and having it setup this way will still provide solid long term results, while enabling me to make sure I have 25% in each of Canadian equity, US equity, International equity, and Bonds. As of today, my oldest child is 8 and my youngest 5, so there are a number of years remaining before I start increasing bond allocation even further. The investment return for both portfolios were fairly close year over year. I ran the numbers through Excel’s XIRR function (here’s how to use XIRR to calculate investment returns) for the period of January 1, 2016 to December 31, 2016 and both portfolios returned about 7.5% for the year. If I count the free CESG contribution of $500 as part of the return (rather than a contribution to the account), then XIRR shows that the accounts returned about 9% for the year. We started the first portfolio in early 2008 near the peak of the market so there was a point in early 2009 where the market value of this portfolio was significantly below book value. It’s comforting to see that re-balancing with new money every year has brought positive results. For the new cash to be deposited into this account this year, it will likely move mostly to the long term bond index to help re-balance the portfolio. The second RESP portfolio was started near mid 2011, which fortunately was during a small market correction. Since the last update, I managed to bring the % holdings of each of the mutual funds to “near” target amounts by releasing some of the cash that I have a tendency to hoard. When the new cash gets deposited into this account this year, I will likely move the money into bonds and the US Index. So in conclusion, I find that indexing provides a steady, systematic, and low stress way of investing. With another 9 years until post secondary education for my oldest child, and 12 years for my youngest, the accounts should have enough to cover most of their undergraduate degrees if they decide move away from home, and perhaps even pay for a post-graduate degree should they stay home. I’ve been looking into opening an RESP for my son. I find it extremely hard to understand the withdrawing rules… I understand you can take “whatever money” is required for the child to attend school and not need to provide any proof. My question is, how does the goverment protect itself from this? Seems too easy to abuse and therefor I feel I may not have a full understanding. Hi John, from what I’ve heard, every institution has their own set of rules of what is required as “proof” when you start making withdrawals. However, I believe that “proof of enrolment” is a universal requirement. 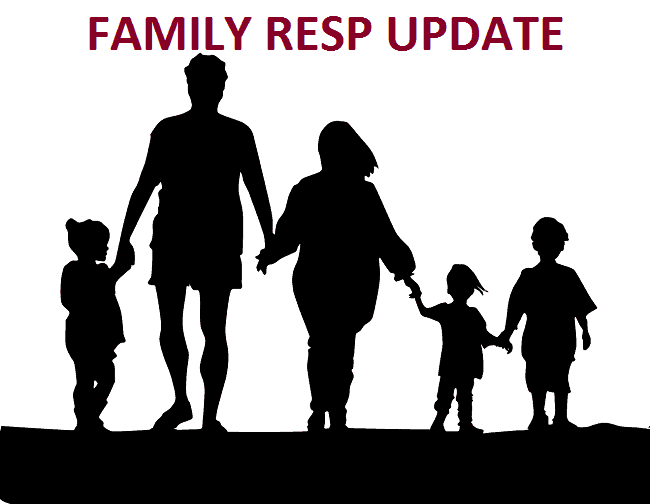 Can anyone here comment with their experience when withdrawing from an RESP? What do I Need to Provide in Order to Withdraw from the RESP? If your child is enrolled and you want to withdraw money from an RESP account, all you have to do is ask for the money. You don’t have to provide receipts or any other kind of justification for your payment request. Don’t be afraid to ask for more than you need. I’m at the other end, having withdrawn all the funds from RESPs for my two kids. The rules make a distinction between 1. your contributions, and the 2. grants (money the government contributes) and gains (investment returns on both your contributions and grants). You have to provide proof of enrollment to withdraw from either, but that is generally pretty easy. A screen capture of a class schedule was all I ever required. There are no limitations or tax consequences on withdrawing your contributions. There are limits on how much you can withdraw from the grants and gains in the first semester and all grants and gains are taxed in the hands of the student. So to make sure no tax is owing, you need to spread withdrawals out a bit and consider if the student has income from work terms or summer jobs to minimize tax. Interestingly, the person who opened the plan (parent etc.) can just take the money and run. You don’t actually have to give it to your children or use it for education expenses at all. John, I guess it’s similar to an RRSP where you can withdraw as much as you like, but the withdrawals are taxable. In the case of the RESP, if you have a large investment gain and withdraw it, it would be taxable under the student. To keep taxes at a minimum, you may want to spread out the withdrawals over time rather than lump sum in any one year. My kids just turned 9 and 7 and I have been contributing $2,500 per kid per year since they were born. RESP value today is $79,193. Invested fully in XIC as a part of my overall portfolio strategy. In the next couple of years I will start to treat it as its own entity and diversify within the account. I am hoping to have close to $100k per kid. Just wondering why you did not register for a family plan instead of contributing to each child individually. Hi Mary, perhaps this is the way that TD has it setup? When I setup my first child, it was an individual RESP, but when the second child was born, I converted the account to a family RESP. Do other providers have all children lumped into one trading account? Regarding family account – yes, BMO and Questrade (there could be other providers as well) lump all children into one account. They internally track the contribution and grant per child, but when it comes to trading, it’s just one account. I was told when one child doesn’t go for post secondary education, the entire money in the account can be used for other child(ren) since it is a family account. They call it a family account, but will still show up as separate accounts in order to track lifetime limits and CESG. It’s still a family plan and when it it comes to withdrawing it’s a family setup, not individual. I’m curious, what’s the end figure you have in mind? Do you stop depositing when you hit the lifetime CESG limit? Do you continue? The reason I ask is my kids are close to your age, and doing basically the exact same thing. I’m a little behind, but beginning to looking at the end game. Hi Trevor, I plan to keep contributing until I max out my lifetime CESG limit. What are your plans? I’ve calculated about another 12-18 months of solid contributions (I’m doubling up due to years passed where we didn’t contribute) and then “coast” to the finish line. If they end up with more, that’s fine, if the market suffers over the next decade, we’ll top up. I’m curious as to why you have any money in a money market fund. You also seem to have a lot of money in Canadian bond index fund. Considering the ages of your children, are you being too conservative? Hi Dave, i’m looking at it with the viewpoint that the withdrawal phase really isn’t that far away. I plan to increase bond allocation as withdrawals get closer. We have adopted a similar e-Series strategy, but with about 32% each of the US/Canada/International e-Series equity funds and minimal bonds (like $500 a kid). Children are 9 and 7. The pot has grown to a nice $90,000. I believe bonds will provide poor returns looking forward and I can’t bring myself to purchase more than a token amount. Will start to add more in the next year or two… maybe. Also thinking about topping up each account to the max contribution when we have reached the max CESG when each child is 14. Looks like your strategy is working! Keep it up. We also use TD e-series funds using TD Mutual Funds RESP account. Lately we have been prevented from purchasing anything and discovered that we are required go to a local branch to fill out the questionnaire regarding our investment knowledge and how risky we can set our accounts. Apparently they are require this every few years and was told that we hadn’t done this since the accounts were created in 2009. But since this is a joint account both my wife and I need to go in to fill in the forms. The accounts are large enough that I can move these accounts and be reimbursed for any transfer fees so I will probably move them since I don’t want to go in to the branch every few years to do this and plus I was considering moving to ETFs anyhow. Has anyone else had to do this? I’ve had to do this once, but perhaps another visit is coming up. Question for you, when you setup your td e-series account, did it require that you had a TD bank account? Or can the RESP contribution come from another institution? I already had a bank account so it was an easy setup. When I try to purchase there is no other option on where the source of the funds comes from, my chequing account is its already defaulted in. The other reason I’m thinking of moving the RESP accounts is because in BC there is a $1200 grant available (BCTESG). However, TD will only open this for an RESP GIC or term deposit account. So it’ll be separate from the other RESP account. Something bugs me about having that separate and not earning much so thinking of moving to a discount brokerage that will allow it to combined with an existing RESP account. When we set up our TD E-Series mutual fund account we set up our outside institution (Tangerine) as the source for Pre-Auth Contributions. Still not sure how we will manage it if we ever want to contribute a lump sum though. I’m wondering how should combined asset allocation look like in family RESP plan for 2 kids with 6 years difference in age? Would you just do a straight average for equities/bond between 2 kids? Interesting post and discussion. I’m curious, a few people mentioned stopping their contributions when they hit the lifetime cesg limit. That makes sense because of course you lose the immediate 20% gain from the govt grant. In my situation my tfsa and rrsp will be maxed shortly and the resp will reach grant max after that. I’d like to continue contributing even after the grants end because it’s another way to grow our families money tax free. is the $50k ceiling the lifetime max that you can contribute yourself ($50k mine + $7200 govt + gains) or is that the max of your contributions and govt grants combined ($42,800 my money and $7,200 govt money)? @Russ, my understanding is that $50k is the maximum that YOU can contribute to your RESP (per child). However, might be best to confirm this with CRA as there is a penalty for over contributions. The CRA website clearly says max. $50,000 contribution per child, and that government contributions don’t count towards this. Good question, I’m not sure if the 50K lifetime limit must include additional grants or not. Yes, maxing it out after the 7200 grant has been reached is a good way to increase sheltered growth. Some people suggest even hitting that 50K as fast as possible (as in a few years) in order to maximize the time the money grows tax sheltered. In many cases, the additional growth more than makes up for the lost CESG money. I can confirm that it’s $50K max contribution per child that YOU can contribute, irrespective of whether you get $500 grant or $7,200 grant per child. Since the max. lifetime CESG grant is $7,200 per child and the max. annual matched grant is $550 (http://www.cra-arc.gc.ca/tx/ndvdls/tpcs/resp-reee/cesp-pcee/csg-eng.html), this amounts to 13 years of $550 CESG grants if one contributes $2,500 per year. 13 x 2500 = $32,500, so this means there’s room for an extra total contribution of $17,500. And since contributions are tax-sheltered, it’s in a contributor’s interest to contribute this $17,500 as soon as possible after the RESP account is opened. The CRA is clear that the total lifetime RESP contribution is $50k, not including government contributions (http://www.cra-arc.gc.ca/tx/ndvdls/tpcs/resp-reee/cntrbtns/lmts-eng.html), so one could contribute $50k as soon as the account is opened, but then you’d lose out on most of the grants. I think you’d get the first year’s federal CESG grant ($550) and whatever provincial grant you’re entitled to ($1200 in BC, for ex. ), but since the contribution room is maxed out, you wouldn’t be able to get any future grants. In some cases (in many cases? ), the capital gains of investing $50k in one shot upon account opening are worth more than the $6650 ($7200 – 550) you lose out on by taking 9+ years to reach $50k ($2500+ per year). After waking at TD for almost 5 years I have dealt with hundreds of RESP setups, the key to having it set up correctly is finding an experience Financial Advisor. The same goes for a new RRSP or RRIF. The amount of paper work involved in these set ups is overwhelming and without proper experience the representative will often forget pages. Thanks for the article FT. I has gotten the gears turning. We have invested $2500 a year per child (7 years old = $17,500, 9 years old = $22,500). To max out our contribution ($50,000) and the grants, we could drop about $12,500 in each account right now, and keep contributing $2500 a year until children are each age 15. So 15 years X $2,500 = $37,500, plus $12,500 invested now = $50,000 contribution plus max grants. Well-off parents with maxed out RRSPs and TFSAs could start off with a $12,500 RESP contribution the first year and keep adding $2,500 each year for 15 years to benefit from the growth and the tax savings. Great post, I have really been looking into switching from a mutual fund resp to cheap mer fund. Indexing seems the way to go and like the percentage weights you have shown. Previous post: The Best of Million Dollar Journey: 2016 Edition!